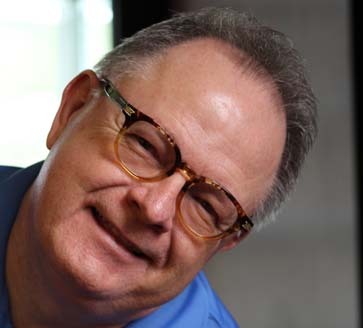 Larry’s 40+ year career in Information Technology (IT) includes over 30 years in Financial IT. Prior to starting Member Driven Technologies (MDT) in 2003, he was the CIO at DFCU Financial, the largest credit union in Michigan, with assets of over $2 billion and 2,000,000 members at that time. As CIO, Larry managed a large IT department with over 100 IT professionals, including the authors of Shared Branching and Shared ATM Network, and the team that provided service and support of these shared services to more than 580 credit unions. 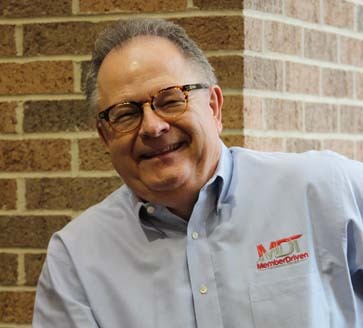 Under Larry’s leadership in just 15 years, Member Driven Technologies has grown from a five-person staff serving five Michigan credit unions to over 130 people serving more than 115 credit unions in 29 states. MDT has recurring gross revenues of over $41 million and no debt. Larry is a member of CUES, Association of Financial Technologies, Symitar MidWest User Group (SMUG), and Symitar East Coast Association (SymEast). Member Driven Technologies is the largest national CUSO recognized by Symitar’s Business Partner program. When Larry isn’t busy commanding the Starship MDT, he can be found strolling through an art gallery in search of the next Michael Parkes oil painting or Paul B. Lotz bronze sculpture to add to his extensive art collection. He’s got lots of works by these fine artists as well as an impressive dragon collection by Rex Benson and many surrealist paintings by David Merriam. Even his office at Starship MDT is a gallery! When it’s time to rest and refuel, Larry makes his way to any of the many fine restaurants that can be found from coast to coast. His food palate can be tantalized by just about any gastronomic concoction, and he likes to tickle his vino taste buds with some of his favorite wines: a nice Silver Oak Cabernet, or a Flowers Pinot Noir, or maybe even a Cakebread Chardonnay…. Delicious!! Larry has been to countless Broadway musicals and really grooved to Cats, A Chorus Line, and Wicked. And his musical taste? He has more ear buds than taste buds! His love of music includes artists from The Beatles to Barry Manilow; from E.L.O. to Billy Joel. We can’t leave out Prince or Steely Dan or Fleetwood Mac or David Koz or Frank Sinatra or Madonna! So for a man with so many passions, what can possibly be on his bucket list? Parachuting! Bungie jumping! He wants to see the Northern Lights, go whale watching, and visit the pyramids of Egypt. This is in between all the trips he’s dying to take to China, Japan, the Vatican, Russia, and other faraway places. Can you say “exhausted”? Larry doesn’t know the meaning of the word!